Your journey through addiction is a long one, but strength-based support is an incredible resource. Spend less time struggling, find new recovery facets and engage the hidden parts of your life. 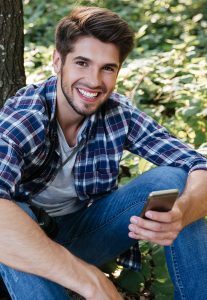 Life coaching helps addicted individuals reclaim their lives, connecting with treatment, detox, and support methods. Different than post-treatment therapy, life coaching serves to promote a successful, engaging lifestyle without an overbearing focus on the past. It’s time to get involved. Your life coach utilizes many addiction recovery practices to promote healthy, balanced discourse. Life coaching forms a reliable recovery groundwork for patients, helping them identify their strengths. Resilience, creativity, and resourcefulness are prioritized, giving the patient more control over their own lifestyle. To overcome challenges, patients employ new mental practices, in-depth self-observation and a focus on new opportunities. A life coach guides the individual, helping them determine positive attributes while weeding out negative influences. By being someone to talk to, a life coach can be a “guide” of sorts, helping the patient stay sober, stay positive and achieve greatness. Life coaching promotes decision-making skills. Throughout addiction recovery, patients may struggle with their professional lives. Telling a boss, family members and even friends about addiction’s struggles can be difficult, but a life coach’s multi-step course can revitalize old social approaches while creating new paths. Life coaching similarly assists individuals struggling with financials. Helping previous addicts afford a new, healthier lifestyle is a life coach’s priority, as is reducing monetary-related stresses from a patient’s life. Recovering individuals are quite capable decision makers—they simply need guidance. What Happens During Life Coaching? During a life coaching session, a life coach touches upon an addict’s many life aspects. It’s important to discuss—but not linger on—old habits, feelings, and mentalities. A life coach is unbiased, offering new outlooks, perspectives, and options. For this reason, many who’ve worked with addiction life coaches gain new world awareness. They’re amazed by new opportunities, becoming charged with an improved sense of identity, new purpose, and restored energy. While a life coach will not tolerate decisions leading to relapse or an unhealthy lifestyle, they walk the individual—step by step—through happiness, health, and wellbeing. As the patient discovers the consequences of bad decisions, they’re corrected to enjoy life to its fullest. Addiction recovery doesn’t end when medicinal or medical treatment does. The mind can be bent, and the individual can recreate their lifestyle to achieve greatness. Life’s unexpected shifts can be damaging, but it isn’t difficult to reawaken one’s strength, resilience, and awareness. A life coaching session, primarily, serves to help the individual achieve growth. A person’s growth is their ability to comprehend, accept and use their past to create a better future. Your life coach will help you make conscious choices, create good decisions and develop a sustainable, fun future. Over time, your coach’s teachings will come naturally, invigorating your lifestyle with perpetual, and positive, adaption. For recovering addicts, stability is invaluable. Your life coaching sessions will ground you, dig up old strengths and manifest new courage. Stability and discipline can promote an ongoing lifestyle of excellence, and your life coach deeply understands the motivational needs required to help. While discipline is vital to your consistent growth, action will be your tool for immediate use. Throughout your life coaching sessions, your coach will teach you to attain goals immediately, to be decisive when needed and to promote a lifestyle of firm reasoning. Attention, too, is an important part of the healing process. To discern your motivations, you need awareness. Your life coach, over time, will grow with your needs. They’ll expound upon your life’s driving force. While a motivating influence, your life coach needn’t make all the decisions. The power is within you, and it’s quite strong. Together, you and your life coach can create an unstoppable reservoir of energy, health, and positive thinking. Don’t neglect your life’s finer linings, and retake control. Following rehabilitation, many feel lost in the crossroads of recovery. Don’t give up. Don’t turn away. Your mind and body both carry an astounding resilience, but it requires time, patience and dedication to unlock. Now, you have the tools for motivation and discipline alike. Through your partnership, you will discover wellbeing, fitness, and a revitalized life outlook. To start living again, you need to look at your life’s every angle. Today’s professionals, CEOs, entrepreneurs, business gurus and family members are already underway, planning powerful futures alongside time-tested-and-true life coaching workshops. To achieve your greatest goals, you need to plan. Achieve your dream lifestyle today, and contact a life coach to strategize your career, personal growth, health, and future. Life coaching works, and it can sharpen your skills, increase motivation and assist you through tough decisions. Your journey starts now.